Regardless of whether your life is threatened by diseases or people, you have to combine spiritual, verbal and physical interventions to form your own holistic deliverance ministry to fight for your life and deliver it from the spirit of death. Daniel, Shadrach, Meshack and Abednego also prayed when King Nebuchadnezzar issued a death warrant on all his wise men because they could not tell him his dream and interpret it for him. (Daniel 2:5) As a result of their prayers, God revealed the secret to Daniel in a night vision (Daniel 2:19) and he was able to explain the dream to Nebuchadnezzar and save their lives. As you pray, use Scriptures since Bible verses are the foundation of any deliverance ministry and Christian spiritual warfare because the Word of God is the Sword of the Spirit that God has given us to fight with. 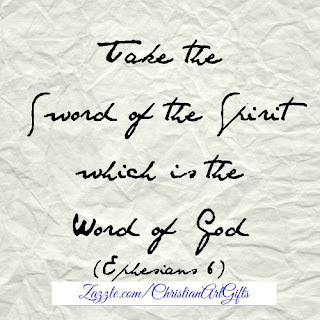 (Ephesians 6:17) Therefore, we will call the Scriptures that we will use to fight death SWORD WORDS. In addition to praying for yourself, ask your Pastor to pray for your life and attend Deliverance services so that you can learn different spiritual warfare prayers and receive deliverance from the spirit of death. Get your copy today and read the entire text of How to Fight Death with Bible Verses. 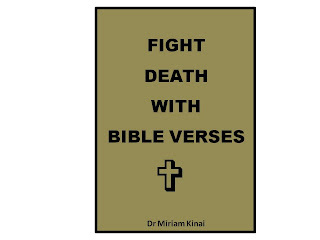 If you don't have kindle, email almasihealthcare@gmail.com to buy the PDF ebook How to Fight Death with Bible Verses.